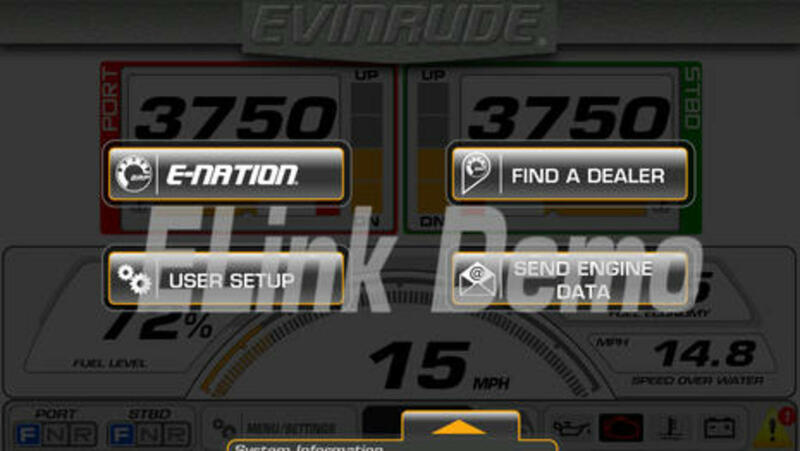 The just announced E-Link virtual dashboard app fully duplicates the graphics and functionality of Evinrude&apos;s top-of-the-line Icon Touch 7.0 CTS (the 7-inch color touch screen also seen above). 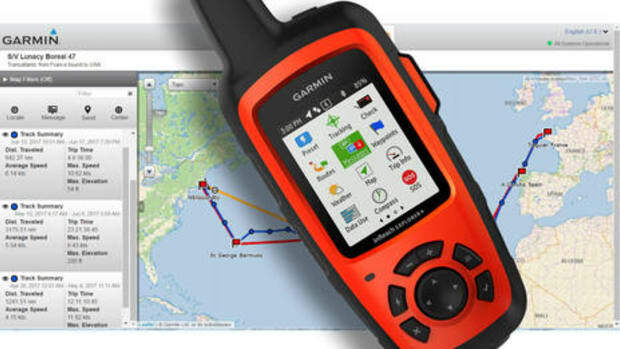 Actually, the app has a few extra features the fixed engine panel doesn&apos;t -- as explained below -- so G2 outboard owners who already have the Icon Touch 7 (or 4.3) may want E-Link too, aside from, say, using it as a second dashboard in the mid-tower of a serious fishing center console. 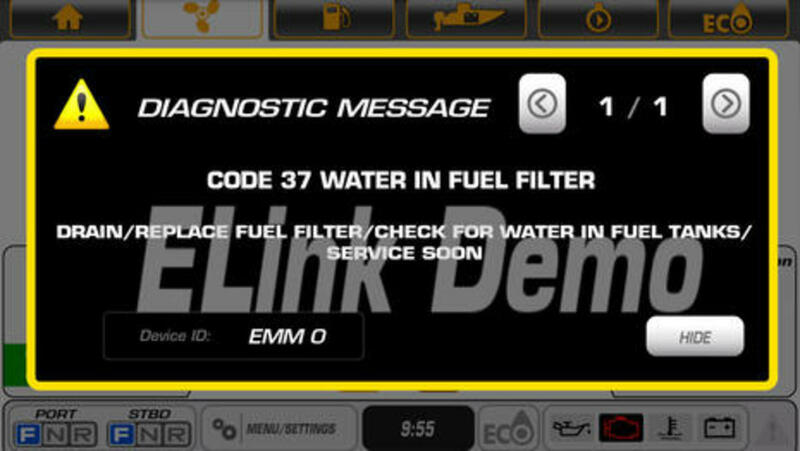 But as seen on the full Evinrude gauge pages, G2 owners can select much less expensive Icon Pro, Icon Basic and even the older I-Command gauges, in which case the E-Link system could be the easiest and most informative engine interface on the boat and the only one capable of advanced G2 calibrations and controls. 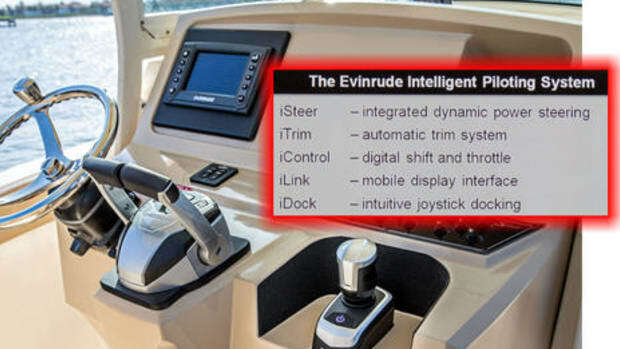 Except that all of the E-Link and Icon Touch functionality may soon come to that Garmin screen above and/or other brand MFDs because Evinrude is apparently making that possibility quite easy! 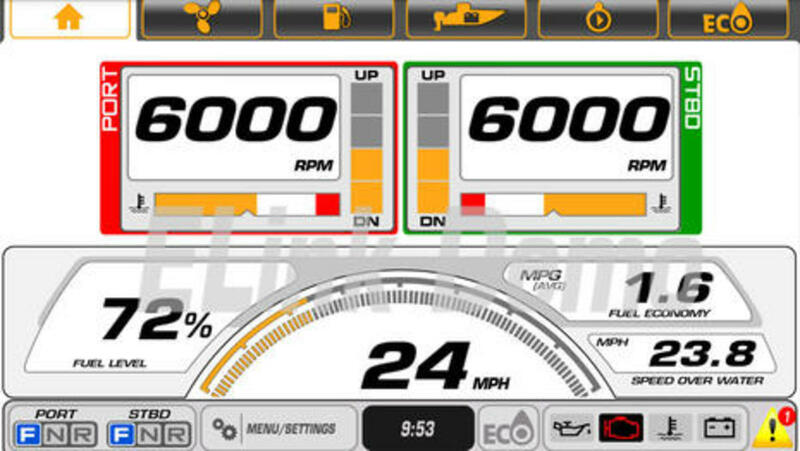 Note that almost any modern MFD can show basic Evinrude gauge info because all E-Tec motors over 30 hp output NMEA 2000 -- nicely using a standard N2K connector too -- but longtime accessories product manager Larry Koschak explained to me that all the proprietary N2K messages that make the E-Link apps and the Icon Touch panels so rich and powerful are available to any marine display manufacturer under an easy no-cost license. 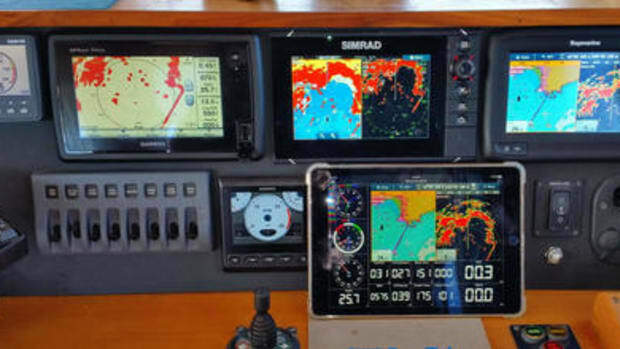 Garmin or Simrad or whoever can even design their own custom engine interface; it just has to work right and even the Evinrude testing is free. 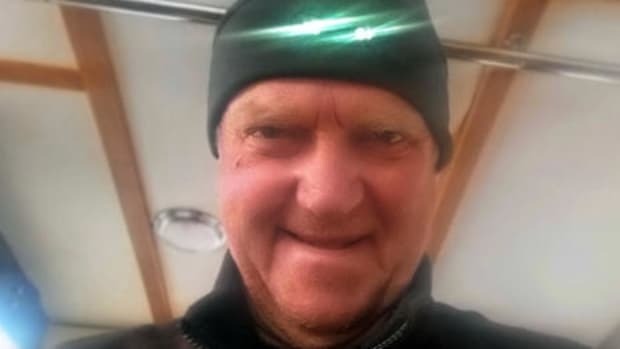 I peppered poor Larry with questions while he was doing last minute E-Link installs on many of the boats about to offer demos to some 40 press people (followed by hundreds of dealers), but Evinrude&apos;s generous open architecture philosophy came through loud and clear. 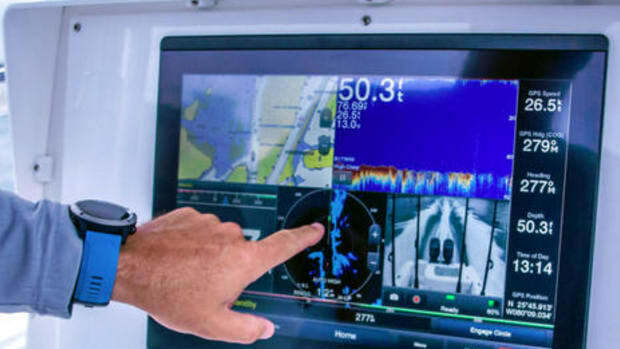 They mainly want to sell outboard engines; they don&apos;t mind losing fancy gauge sales to lesser gauges, apps or MFDs, and they&apos;re trying to support all the interfaces possible. 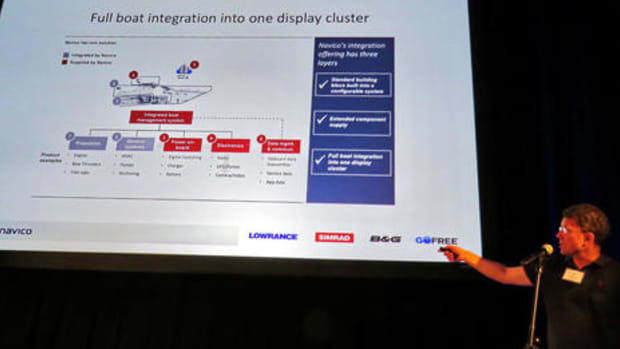 Or as Larry put it in a later email: "The goal is to offer the customer the best possible instrumentation options and eliminate objections in the engine sales process. 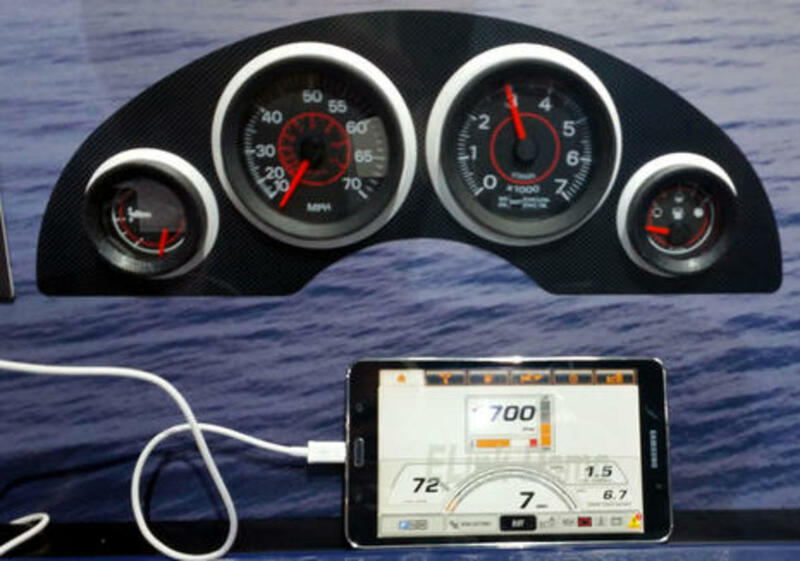 We do want to sell gauges but not at the expense of losing an engine sale." Incidentally, the Club Evinrude demos took place on Okauchee Lake where Ole Evinrude himself invented the outboard in 1909 and there&apos;s a new plaque on that bridge commemorating the romantic story. I can&apos;t yet show a picture of E-Link/Icon Touch style engine monitoring and control on an MFD, but this detail seen at the Club Evinrude Show spoke strongly of the company&apos;s open attitude. 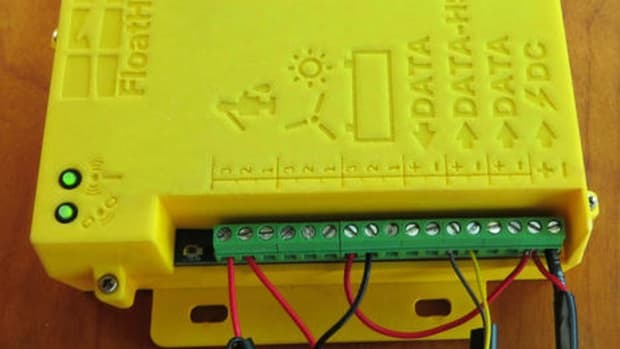 Those are the analog SystemCheck gauges that normally go with the E-Tec motors under 40 hp that don&apos;t use NMEA 2000 -- sadly, no brand&apos;s smaller outboards do, to my knowledge -- but you can, in fact, rig the brand new E-Tec G2 150-200 hp models with these gauges if you want to minimize costs. 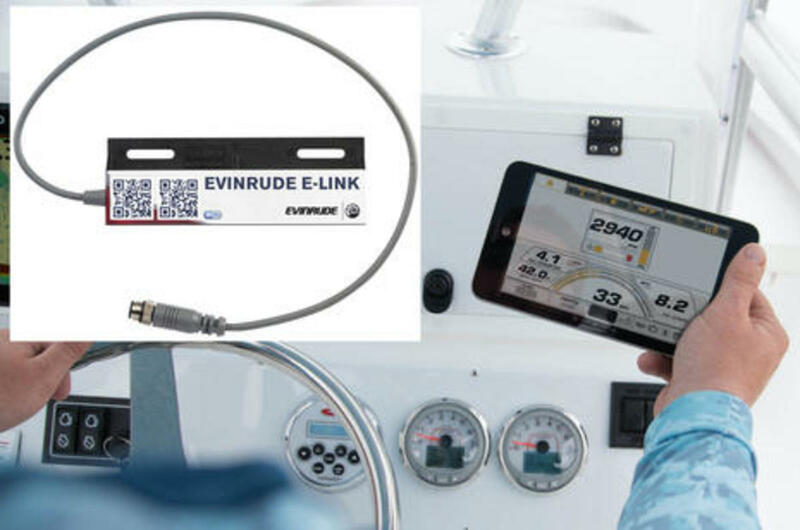 That&apos;s because Evinrude offers an N2K-to-analog bridge in G2 repower kits (PDF here) and even in a new economy single engine Icon II EST digital shift and throttle controls. 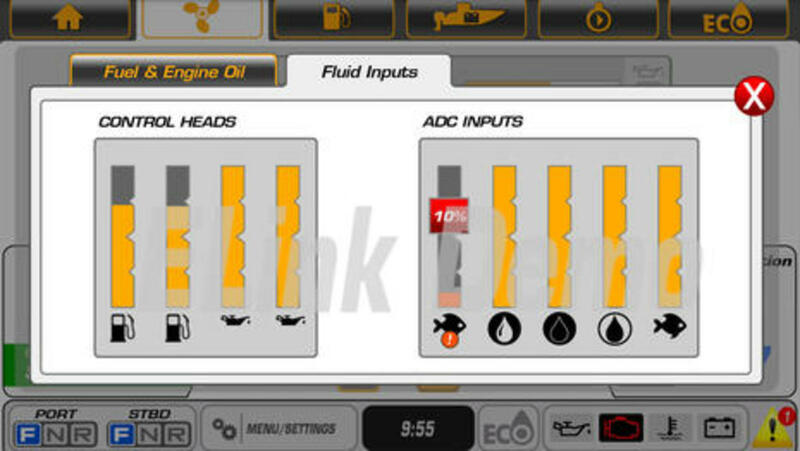 Then, of course, you could add E-Link to get access to the G2&apos;s many advanced gauges and controls. 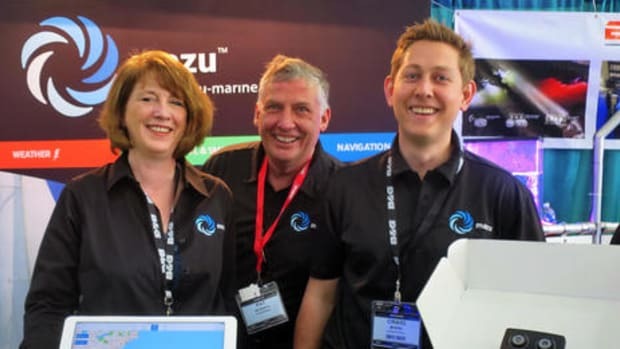 Is there any marine engine manufacturer offering such flexibility? 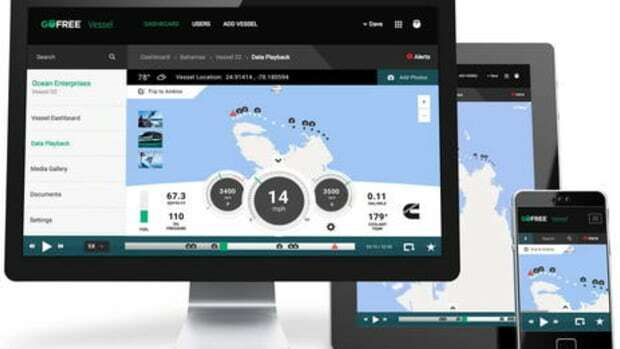 Actually, the latest Mercury VesselView integration with Navico MFDs (as covered on Panbo) is pretty sensational and Mercury also recently announced a VesselView Mobile $275 Bluetooth module and apps sytem (though they don&apos;t seem available yet). It&apos;s all good. Now let&apos;s take a closer look at the E-Link app, which is available in demo and real forms for Android and purportedly coming soon to iOS. Note how the main screen above efficiently displays a lot of information because it largely dispenses with the round gauge look that was forced by analog data and mechanical pins anyway. I like it, but there is a plainer numerical screen available with double tap in the real E-Link app. Here&apos;s the Concierge page that an Evinrude G2 owner will not find on Icon Touch panels because it takes advantage of your mobile&apos;s connectivity. You can put your dealer&apos;s email into the User Setup and send them engine data if you have a problem, or just surf over to E-Nation to see how other users are doing. Larry Koschak told me that G2 engines can generate nearly 300 individual fault codes, and here&apos;s hoping that all are explained as well as the one used in the Demo app. Note how the main screen above, and many other screens like the one below, remind you about an active fault. 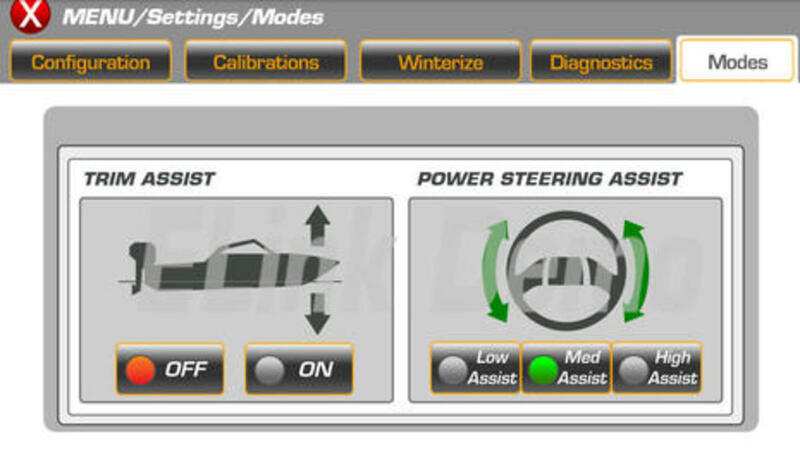 I joke that a propeller as in "propeller head" is the right icon for this screen, but it does illustrate how deep the monitoring goes (and you can learn more about Control Heads and ADC Inputs in the Icon Touch 7 PDF manual). 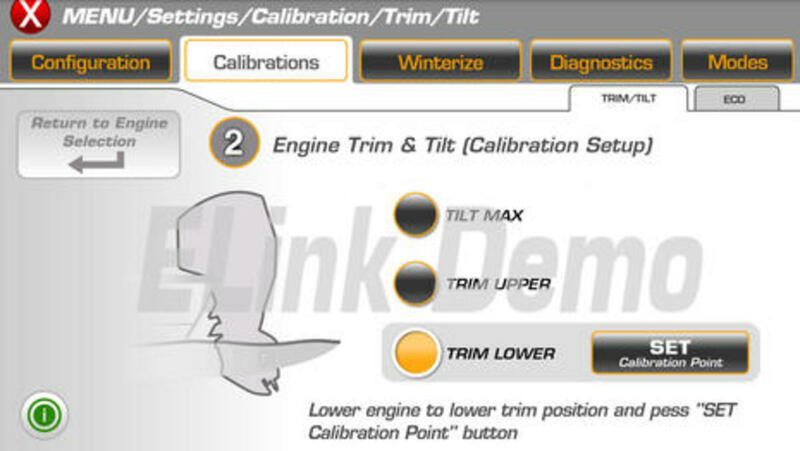 Here the E-Link app is in its Settings menu calibrating trim and tilt. This is the sort of NMEA 2000 PGN (message) that a manufacturer needs to keep proprietary so they can be sure that it&apos;s used properly. But proprietary is like open when a company like Evinrude makes it freely available to any display developer as long as it works right. And trim calibration is especially critical to G2 outboards because a feature that has now come down to even the 150 hp models is the automated trim assist, which I saw working quite well at over 30 mph in a bass boat on an Okauchee Lake bumpy with demo wakes. The G2&apos;s built-in power steering is also unique to this horsepower level and if you think about what&apos;s possible given multiple outboards with digital shift, throttle and steering, you can guess the future control innovation strongly hinted at during the huge "global reveal" presentation Evinrude delivered to its global dealer network. 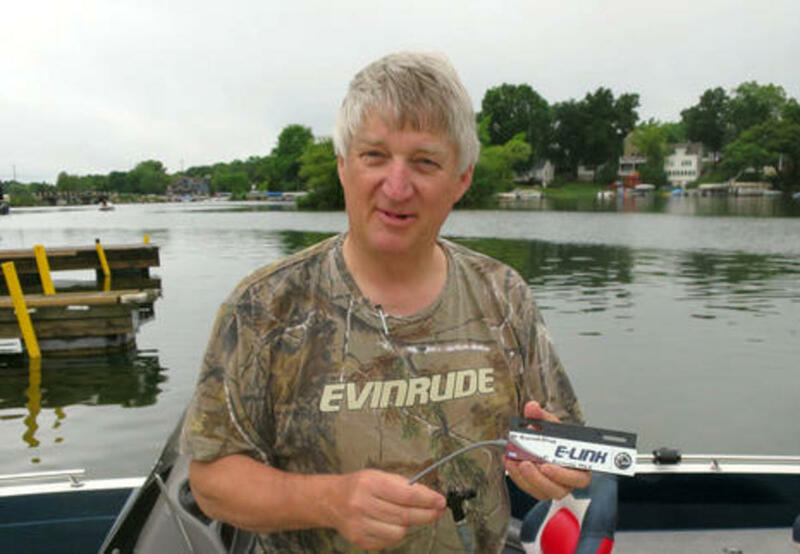 I will write more about what I saw in Wisconsin, including digital control advances in BRP Rotax powered jet boats, but E-Link and other indications of an open gauge/control philosophy obviously impressed me. This is how boaters get lots of choices. 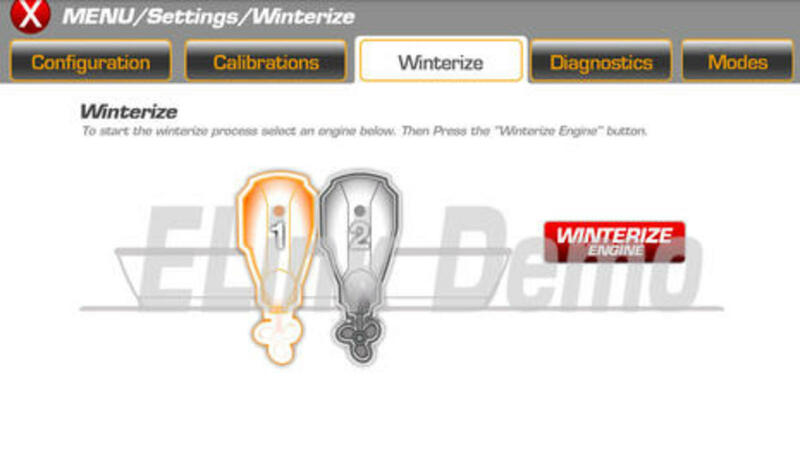 I&apos;ll close with the automated winterization feature that means a lot to me because even the E-Tec 30 hp I may purchase has it. I won&apos;t be able to use my phone, but apparently I&apos;ll be able to flush and fog the resurrected and renamed Li&apos;l Gizmo (formerly the Gizmo) easily, which means flexible trailer boating in northern climates. Then again, it&apos;s July 4th and I&apos;m sort of still commissioning the big Gizmo.